"In the event of cabin depressurization, stop screaming. 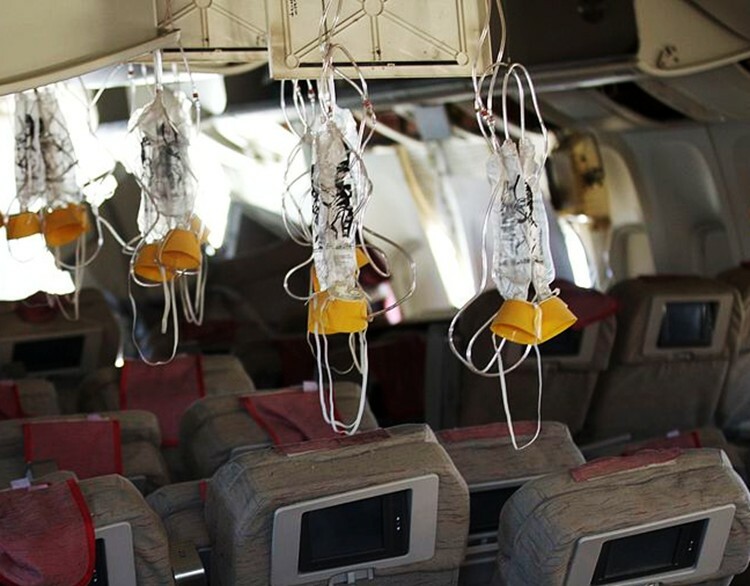 An oxygen mask will drop, secure it over your mouth and nose, and breathe." There was an instant reaction on my aisle to this particular wording, one of shock, awe, and amusement. But as we looked around the cabin, the other passengers were preoccupied with pretty much anything other than paying attention to the in-flight safety instructions. They had missed the brutally simple honesty of the speech entirely. However, my aisle felt Fight Club's Tyler Durden would have gotten a kick out of the irreverence of that particular passenger service announcement. During events of trauma and chaos, especially when our emotional or physical health are on the line, we all tend to panic. It is a natural, primordial response. Panic is part of our survival instinct. However, panic is not the best form of coping. In complicated times of crisis, it can be very counterproductive to healing and surviving intact to the point of actually causing additional damage or set-backs. There is a reason the idea of a Zen state has survived for centuries and the search for it is an integral part of meditation. We need to focus, to find a calmness within ourselves, to stabilize and clarify, and remember to take the time to inhale. Breathe deep. Stop screaming and breathe may be the simplest and soundest advise any of us could ever get.